Be it steak, burger or rib, beef is a fantastic choice for a summer barbecue. The rich, meaty flavour of beef combined with a nice smoky char from the grill is a thing to behold, and pairs beautifully with a huge range or marinades, rubs and sides. Steaks are one of the most popular cuts to cook on a barbecue, and quite right too - the smoky char you get on barbecued steaks is not easily achieved with a frying pan. You can use any steak cut you prefer - rib-eye, sirloin, fillet, flank, hanger, rump or T-bone steak all work well. Most steaks don’t take much preparation before cooking, however the tougher steaks - like hanger and flank - may need to be marinated. When barbecuing beef, make sure that the barbecue is red-hot, so that the meat sizzles as soon as it touches the grill, and turn halfway through cooking. If you are looking to barbecue beef ribs, it’s best to opt for short ribs rather than back ribs. Short ribs have more fat, which will add flavour when cooking. The amount of meat on the ribs can vary, so always look for meatier ribs when sourcing. Depending on your preference (and butchery skills) ribs can be purchased individually or in a whole rack. To ensure that the meat is tender and not chewy, remove the membrane and simmer the ribs in water for about 1 hour before marinating or adding to the barbecue. This process will reduces the cooking time. Ribs can be wrapped in a foil parcel to trap the moisture while cooking, but leave enough space for the meat to breathe. Homemade burgers should be chilled before barbecuing, as this will help to prevent them from falling apart as they cook. Rub a dash of oil all over the burger before cooking to avoid it sticking to the grill. Burgers should be placed directly onto a hot barbecue and turned only once to ensure a nice caramelised crust. Always rest beef after it comes off the barbecue - this will allow the proteins to relax and provide a succulent finish. Leave tougher cuts in a citrus-based marinade overnight to break down the proteins and add flavour. Barbecued beef matches wonderfully with a range of sauces, such as ketchup, mayonnaise, guacamole, barbecue sauce and chimichurri sauce. 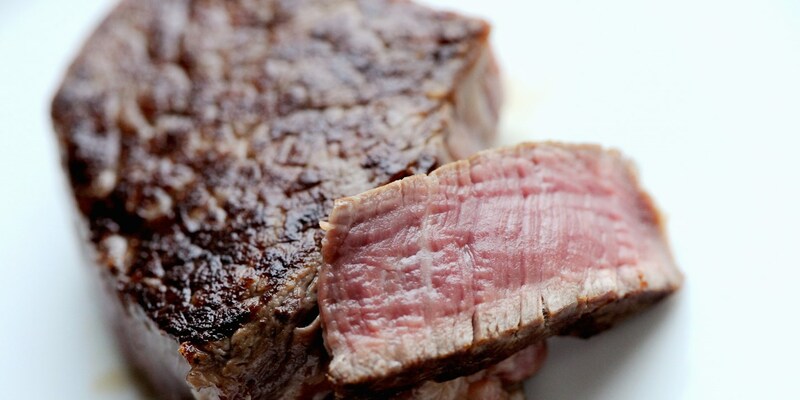 Good quality steak needs little more than a drizzle of olive oil, salt and pepper. Don’t drench the steak in oil, as the oil will flare up if it comes into contact with the flame. While the steak is resting, try adding a knob of flavoured butter (blue cheese or garlic work nicely) to melt on to the steak. You can leave tougher cuts in a citrus-based marinade overnight to break down the proteins and add flavour. Olive oil, herbs and sauces can also be used for a marinade. Ribs can be rubbed in a spice mix or glaze just before going on to the barbecue. Texas beef ribs use the classic marinade of barbecue sauce, brown sugar and Worcestershire sauce, while other interesting glazes can be made from ingredients like bourbon, cola, hoisin sauce or Chinese five-spice. Burgers should be served in a good quality and lightly toasted bun, along with some lettuce, tomato, bacon and cheese, perhaps.